I’m finally in Salt Lake City! What a day we had. Not quite as bad as the drive from South Dakota to Denver though. Today instead of snow, we hit hail. I mean loud, pounding hail. 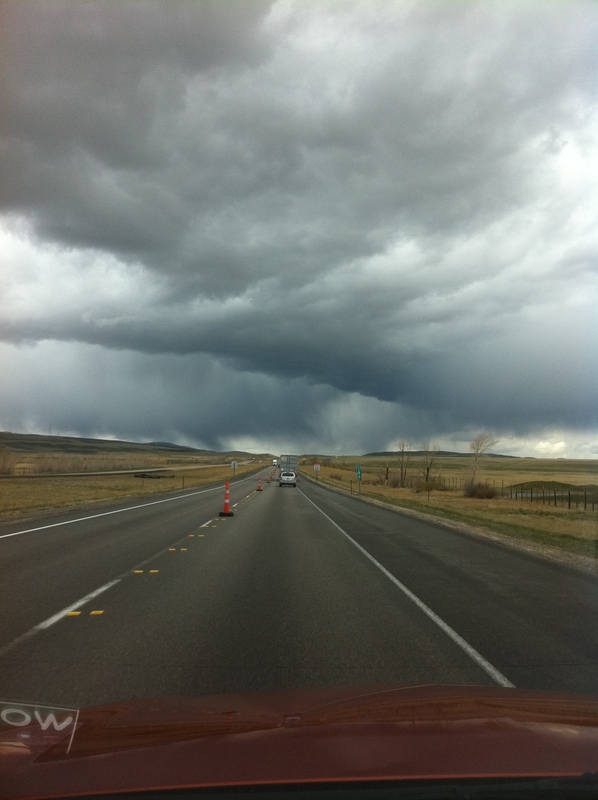 We saw the blackest skies, and I kept hoping they weren’t tornadoes. But we did see lightning hit the ground in the distance. 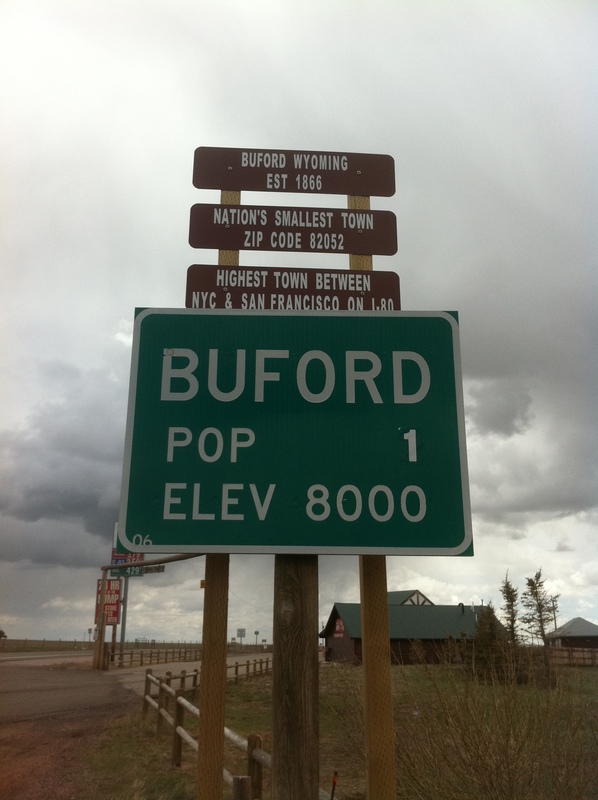 What should have been an 8 hour drive turned into a 10 hour drive, but we did get to see the smallest town in America – Buford, Wyoming. It has a population of 1, was established in 1866, and is the highest town between New York City and San Francisco on Route 80. Before leaving for Salt Lake City, I had to do one more thing in Denver. 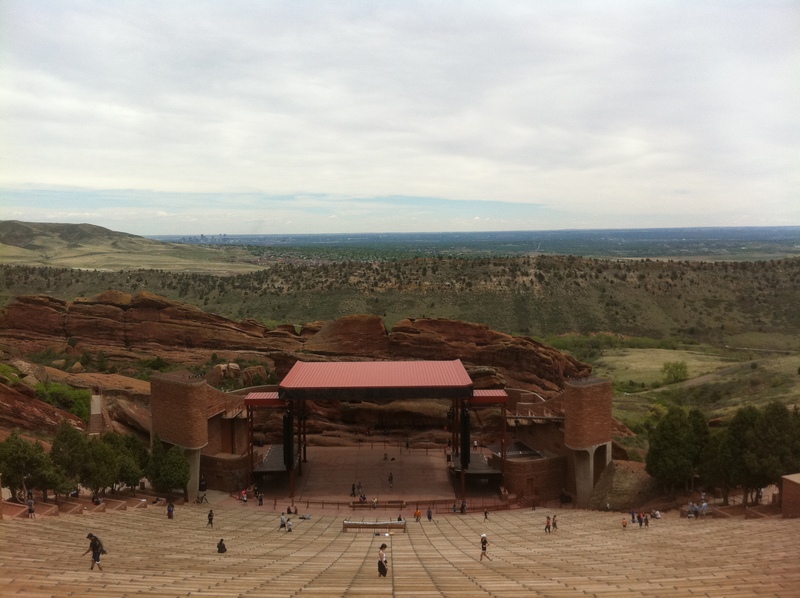 Yesterday we went to Red Rocks. I have been there once before, back in 1998, and got my picture taken on stage but never went to the visitor center or musuem. 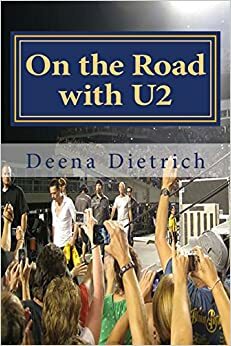 My mom and aunt were impressed with the park, and I of course was excited to see the U2 memorabilia and just to be in the presence of that magical show from 1983. 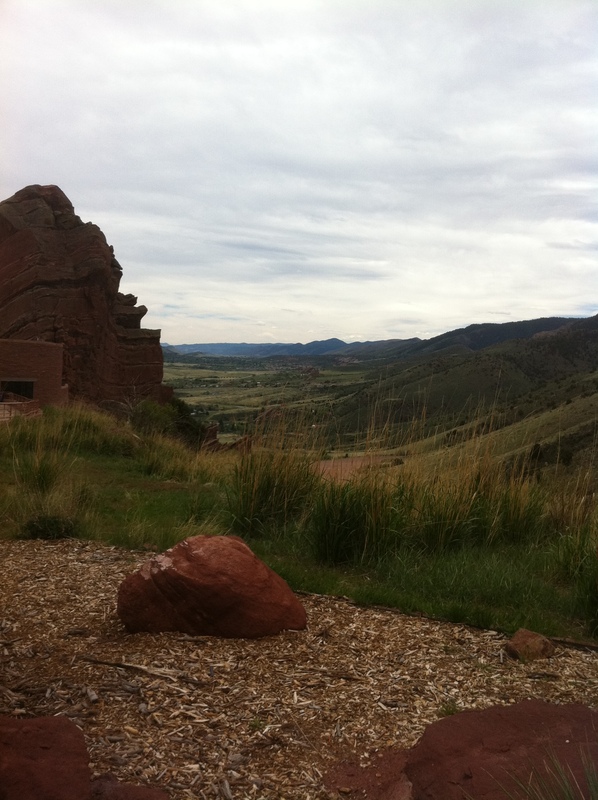 After visiting Red Rocks, we had lunch in the cute little downtown area of Morrison. A great little town along the stream at the bottom of Red Rocks park. It was a real motorcycle town. 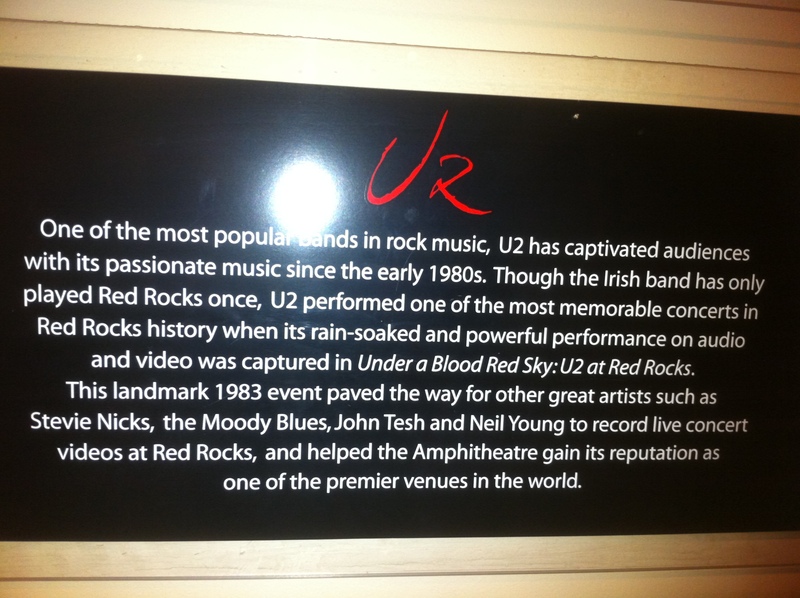 U2 360 in Salt Lake City is less than 24 hours away!! !